Sumoflam circa May 2007…working towards looking like this again. Yesterday I posted a photo of myself from 2007 on Facebook. 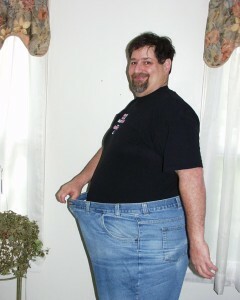 I tried to make it clear that it was from May 2007, but I also noted my current weight loss. Boy was I stunned when I saw the LIKE Thumbs adding up. As I write this, there are nearly 180 likes on that post and over 40comments from friends from across the country and likes from friends all over the world, literally. It was so humbling to me and brings tears to my eyes in gratitude for the support and encouragement. I didn’t realize so many of you cared. Another thing I noticed was comments from some about others who had lost 50 pounds, 100 pounds, etc. Others have trod this path and made it. I can too!! This is becoming such a wonderful journey and I am so honored to have so many of my friends – YOU FINE FOLKS – join Team Sumoflam and support me in getting healthier! Yesterday was another good day in terms of staying PlantPure and healthy. We started off with a good bowl of steel cut oatmeal with bananas, walnuts and 100% organic maple syrup. 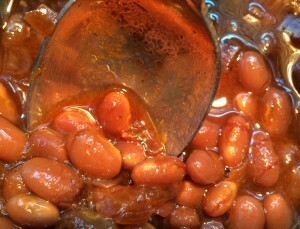 On Sunday Julianne had made a big pot of beans….kind of like baked beans. She used white beans and then added onion, garlic, sage, rosemary, thyme (no Scarborough Fair – she did not use parsley) and then added some ketchup and molasses and a bit of brown sugar. Yes, it was like the baked beans you get at a BBQ place, but fat free and PlantPure! 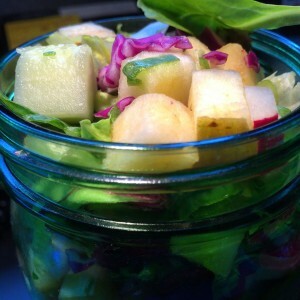 I also had some salad-in-a-jar, but could not finish it. I seem to be getting full faster. This salad had those luscious Lady Alice apples from Bountiful Baskets and walnuts in it along with plenty of green and even some purple!! Topped off with the 3-2-1 dressing, it makes for a good healthy lunch. Later in the afternoon I did get the munchies and so I devoured one of those Lady Alice apples. The crunch, the tart and sweet…really wonderful fragrance too. Upon arriving at home in the afternoon and set out for my walk. My knees were still hurting, but I pressed on. How could I NOT do that with so much support from all over? It is absolutely amazing how the voices of encouragement can be heard as I walked. 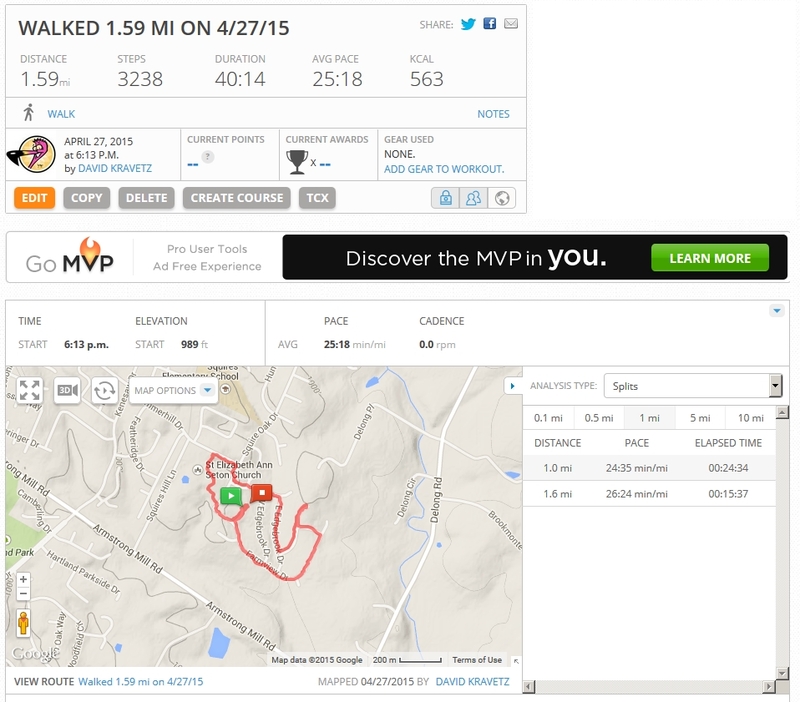 The pain in the knees seemed to fade away…I was able to press forward and got 1.59 miles in. I have decided that from now on I will do a SMILE at every mile. I love selfies so it is yet another chance to do some!! 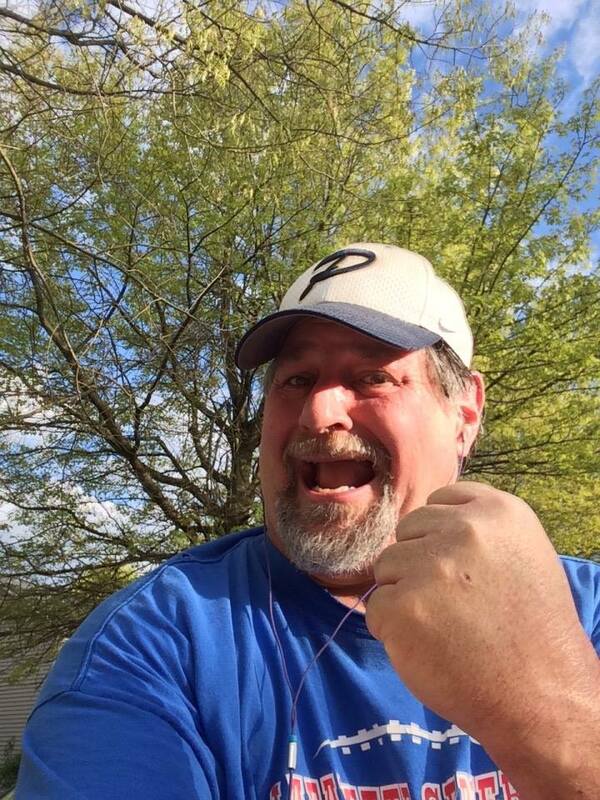 So, today’s SMILE AT A MILE is dedicated to all of you who have so kindly and graciously shown me encouragement. YOU are Team Sumoflam!! It was just a few months ago that I could barely walk a mile without lots of pain. Yesterday I made it the entire way with stopping for a break. I know that to some, a mile and a half isn’t a very long distance. But, try carrying 400+ pounds doing it. It is not easy…but I am doing it and it is now getting easier. 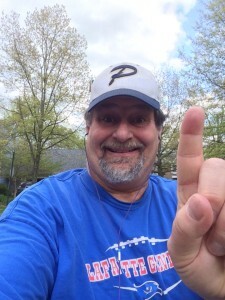 By the first week of April I hope to be doing two miles on each walk. I will succeed! 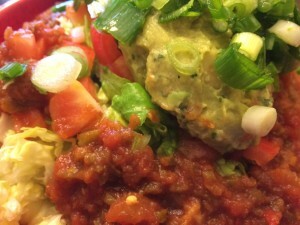 For dinner Julianne prepared a wonderful “burrito bowl” which included brown rice, vegan refried beans, salad, onions, tomatoes, salsa and a dollop of guacamole. It was devoured heartily. I told her on a 1-10 scale, this dinner was a 12!! Or even a 13! It was a good day for me and felt like I succeeded in my efforts to fulfill expectations and encouragement. I am truly grateful to the dozens and dozens of friends and family members who are helping me get through this challenge. It is one of the first times I have really done well and ENJOYED it at the same time! YOU are Team Sumoflam! A big YES! to Team Sumoflam! Yay Dave! It’s great to see you feeling happier. There are bound to be down times, but you’re still pushing through, so many kudos to you-does. You’ve inspired me to push in more plants, and make my kids eat them too, so thanks for that! Thanks Kari!! You RAWK and you will all feel better too with more plants in the diet!! Keep going! You are inspiring us all! Thanks Jane!! It took me a while, but I am on a roll now and all of the encouragement from all of my Team Sumoflam friends just pushes me harder! !